Confusion reigns then!! Something about nothing anyway - so a belated welcome to the forum and onwards and upwards. 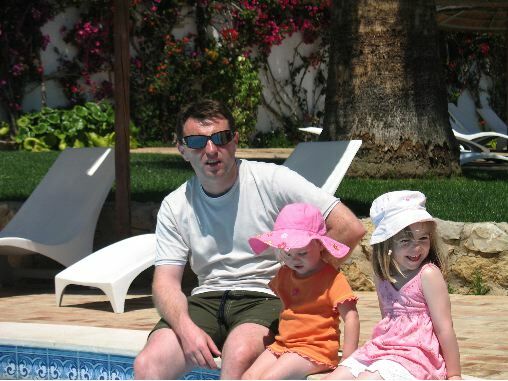 The alleged date of the "last photo" is 3 May but when you read Kate McCann's diary, she makes no mention of the family being at the outdoor pool that day. She does however say they were at the pool on 28 April. @Alba1: Your post has been moved here being the most recent active 'Last Photograph' thread. Has that photo itself been enlarged, or otherwise been enhanced, or otherwise modified, whether on a Mac computer or otherwise, before being placed on this forum? Or is it the original photo? @ Get'emGoncalo Wow! You are certainly on the ball this Christmas Day! 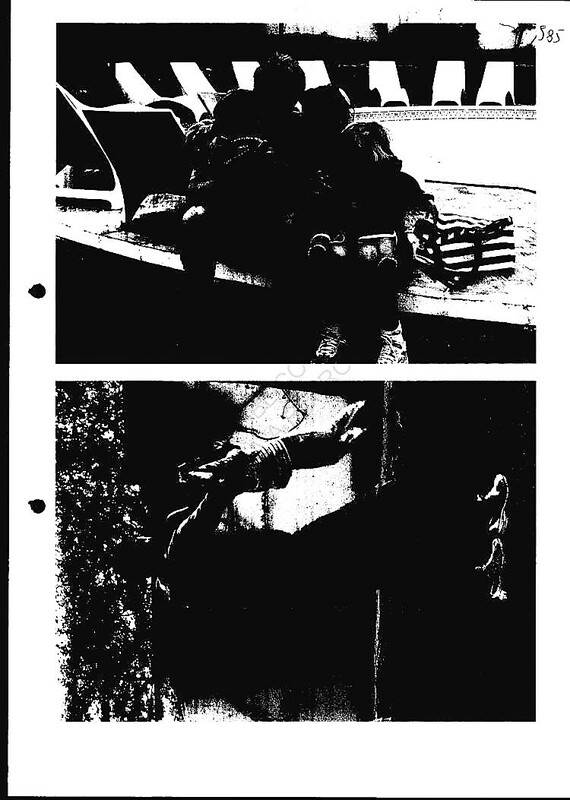 How do we know that canada12 hasn't (whether deliberately or inadvertently) compared her false enhancement/enlargement/manipulation of the Last Photo with some kind of similar kind of enhancement/enlargement/manipulation of the 'Biscuit Photo'? Comparing one false image with another false image? Besides that, on canada12's enlargement of the Last Photo, you can even see the 'dress flower pattern' on Madeleine's lips! 'The Last Photograph' - another risible attempt to prove Madeleine was alive and well on 3rd May 2007. So crafty for this iconic photograph to appear three weeks after Madeleine's alleged disappearance and covertly slipped into the investigation, so crafty !!! A photograph said to have been taken on Thursday 3rd May 2007 at either 01:29 or 02:29pm but not included in the CDs of holiday photographs submitted to the PJ by Messrs McCann and Wright Inc. some days later on 9th May 2007. Verdi wrote: 'The Last Photograph' - another risible attempt to prove Madeleine was alive and well on 3rd May 2007. What exactly is the point of Ruffian on this forum? In almost all his/her posts he deliberately tries to undermine the forum's main hypotheses on the case - with generally very weak, tired old arguments. His/her words on every occasion seem just like those that would come out of the mouth of the McCann Team's main spokesman. Perhaps indeed they have. S/he contributes nothing to the forum's investigative work and sneers at the dedicated efforts of those who have been patiently investigating on here for years. I had to laugh however at his/her remarks about his/her concerns for the forum and how it was dominated by people basically pushing their own egos. We have heard the same old rhyme from disruptors, malcontents and time-wasters for years. A group of them split off from CMOMM in 2015, taking, as they boasted at the time 'the best Maddie posters with them'. Yet where is that forum now? Do they even have 20 members and guests viewing at the moment? Meanwhile CMOMM's membership approaches 8,800. Nearly 50 new people have joined in the last 10 days and 168 new members have joined since 1st August. And how many members and guests are on CMOMM right now, this second? I can't see because I'm posting at the moment but I'd hazard a guess that, as usual, it's around 150-200. Do what I can't believe I've just read that. Thou art taking the wee methinks. Tony Bennett wrote: What exactly is the point of Ruffian on this forum? Because a group of people of your choosing seem to have concluded they know more than GA and the entire force that worked on the case back in 2007/08 does not mean you are all correct. We are all lay persons looking from behind the only facts we have on the case which are the PJFiles. Howver, they have to be used with caution as they have not been translated by professionals and we only see 17% of the entire files that were compiled. I can qoute approx how many interviews, witness, statements etc were taken by the PJ for them to reach the conclusions they did. We have the files and other use them with a mixture of outdated redtop news articles. May I ask you what exactly is the point of this forum? 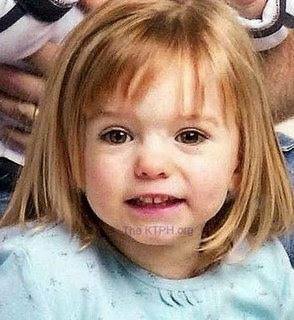 The McCanns used the photograph as proof that Madeleine was alive and well at lunchtime on Thursday 3rd May 2007. The photograph was not included in the CD of holiday photographs handed to the PJ by Gerald McCann and Michael Wright. So Ruffian, here's your chance to make a mark in this grand mystery .... please provide a link to the documented evidence 'signed sworn statements' to confirm 100% that Madeleine was seen at any juncture during that week, after Sunday when the apartment 5a cleaner testified to having seen the entire family. NB: Please don't keep me in suspense, it's nearly time for my dinner. Nice bit of distraction there Verdi. Verdi wrote: Stop playing games Ruffian. Why would the McCanns need the last photo to prove Madeleine was alive at lunchtime on May 3rd when they have numerous independent eye-witnesses who say they saw her alive hours after the photo was allegedly taken. This alleged reason doesn n't make sense. 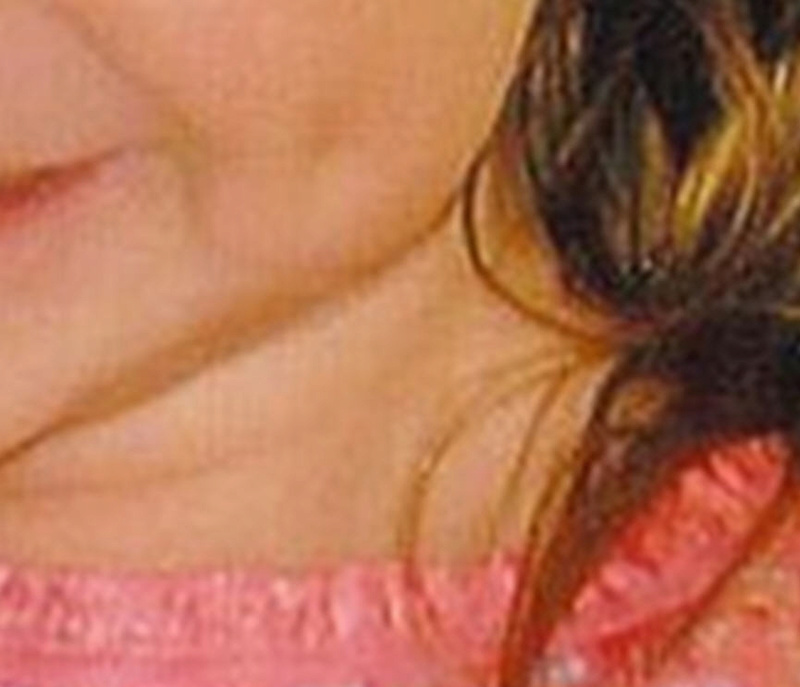 It's more likely that, if the date was altered, it was to show how "hunky dory" things were in the McCann family on the day she "went missing" - all IMO. Phoebe wrote: Why would the McCanns need the last photo to prove Madeleine was alive at lunchtime on May 3rd when they have numerous independent eye-witnesses who say they saw her alive hours after the photo was allegedly taken. This alleged reason doesn n't make sense. It's more likely that, if the date was altered, it was to show how "hunky dory" things were in the McCann family on the day she "went missing" - all IMO. numerous independent eye-witnesses? Really? can you name a few and provide a link to the official witness statements please. The nannies in the creche who saw her that day. The Tapas cook who served her tea and we do not know what the sailing instructors might have said, their statements not being in the files. Unless all of these are liars, then Madeleine was seen on May 3rd. In any case its a moot point. The P.J and Mark Harrison believe that Madeleine was alive up until 5.30 that day, so that would negate any need for the McCanns to feel they had to prove it by faking a photo. However, the picture shows Gerry and his girls having a jolly time that day, and I do believe there might have been a need to fake that - plus give the idea that the parents were interested enough in their children to take photos on several days - something I don't believe at all! For what its worth, I am of the opinion that the photo was not taken on May 3rd. Whoa mule! That was your assertion - not mine. Now please - links to the various people who testified to having definitely seen Madeleine Mcann on Thursday 3rd May 2007, or any other time of the week after the apartment 5a cleaner witnessed the McCann family around noon on Sunday 29th April. These diversionary tactics are so transparent. Stop wasting my time Ruffian. This is not a playground. "The nannies in the creche who saw her that day. The Tapas cook who served her tea and we do not know what the sailing instructors might have said, their statements not being in the files. Unless all of these are liars, then Madeleine was seen on May 3rd"
Well, they certainly BELIEVE they saw Madeleine. They seem to have seen a small blonde infant certainly, but there was another kid who looked just like her in their little group. Easy to assume a kid with some adults is THEIR kid if they look very similar. Why would a casual observer think otherwise? Answer: They wouldn't. A deliberate deception would be very convincing, if it occurs before anyone realised anything was amiss. This has been discussed many times before but it still puzzles me. I came across a videoclip I've never seen before, taken May 4. Not the dreaded bougainvillea again. PeterMac has consulted experts on weather conditions and exif data which bring into question the authenticity of the last photo. Please oh please let's not go down that road again - leave it buried where it belongs. There isn't a law of nature that dictates how this plant behaves - in some locations it's even thought to be a nuisance, like a weed. Generally the plant begins to flower in early spring, March-May but this is very dependent on climatic conditions in any one season/year, the location of the plant, is it in constant sunshine or shade, how the plant is tended, if it's cultivated or just allowed to grow rogue. Rule of thumb, one would expect to see a flowering bougainvillea in April/May, much more likely than not - unless the plant is dead. Left untended the shrub can flower all year. It really is a non-starter.